It's been a very good winter for raptors so far. The Great Gray Owl was a real treat to see as I wasn't counting on seeing one. It was very active near sunset but perched long enough in this tree for a photo. Canon 7D MK2, 70-200 2.8L + 1.4x. Handheld. Thanks for looking. Beautiful bird in a natural setting. The warm evening lighting is sweet. Also, great eye contact. Lovely eye contact & light. Nice image. the owl season is great ( so far ) and the end of the day light is awesome on your GGO, well done WILSON. Lovely warm evening light. Nice one! A treat to see in the evening light-what a special find! Thanks Peter. I agree totally. 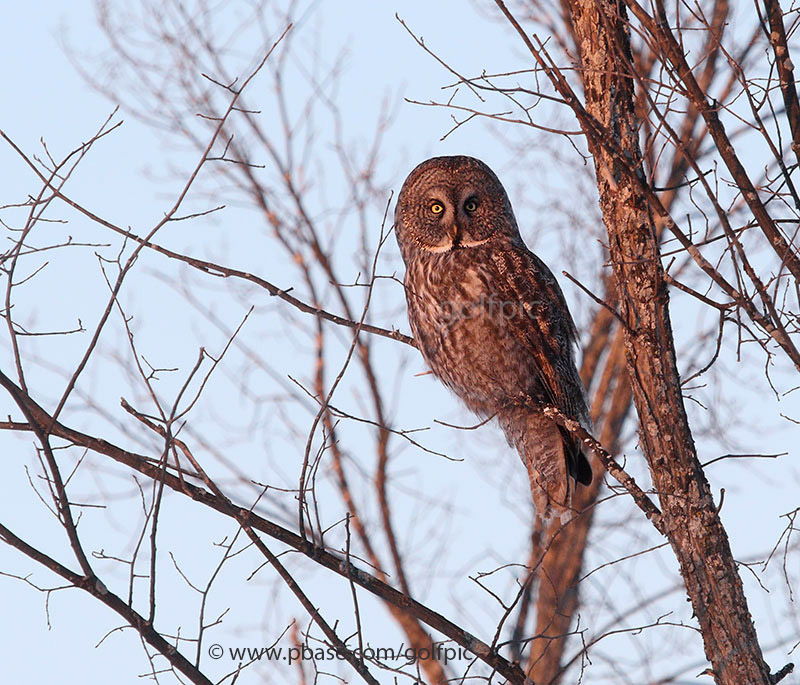 It has been a great winter for seeing owls. I used to not like winter all that much until I took up bird photography. Now, I look forward to winter every year as it's the only time to see certain rare owls. Great light and a beautiful image, Wilson. What a nice shot with a warm sunset color. You are so lucky to have them around. Great Gray Owls are very rare in western Washington. Such gorgeous owls! Lovely view of this beauty in warm evening light, Wilson.